West Sayville Boat Basin is a premier South Shore Marina on Long Island. Our ideally situated marina offers quick access to county parks, beaches, and Fire Island Inlet. With our family-friendly facilities and amenities not found elsewhere, we rank top in favorite neighborhood marinas. We offer 150 slips for boats and personal watercraft, 24-hour electric keypad gates, on-site security 24×7, fixed and floating docks, private fuel station, 30 and 50 amp individual electric, and in-­water or on-­land storage during winter months. For family fun, we have private gazebos, tiki huts, and grills offering you the ultimate picnic experience. We have our own private beach available to you and your friends. We also have pristine bathrooms with shower facilities, jet ski lifts, kayak and paddle board racks, sunfish sailboats, a lounge with kitchen area and wide screen tv. You never have to leave the marina to enjoy the day. 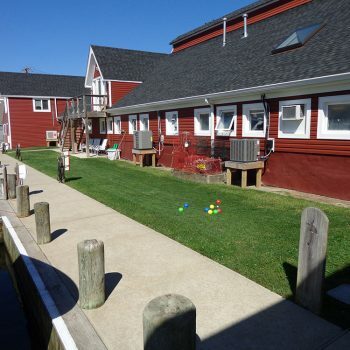 Only minutes to Fire Island beaches and adjacent to public golf, tennis and the historic Long Island Maritime Museum, we strive to make WSBB your complete marine destination for the entire family.